The banking industry is undergoing transition, triggered by rapidly-changing customer demands, challenging operating environment, and disruption in technologies. Banking in the future will no longer be dependent on branches and will be ubiquitous through multiple digital channels and devices. 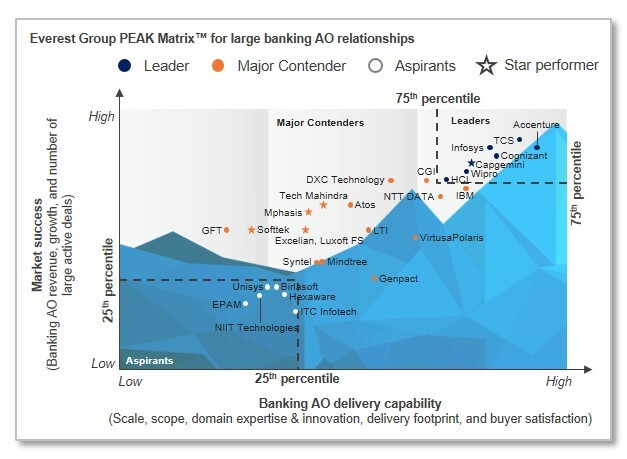 In 2016, banks made massive investments to transform their business into digital, which has impacted not just the service providers and the technology firms but also the FinTechs they invested in, partnered with, or acquired. As the market decelerated, service providers witnessed moderate growth. The industry witnessed consolidation resulting in synergy gains and scale benefits to smaller players. As parallel demand emerged for implementing new digital technologies and modernizing existing legacy systems, service providers invested in reorienting themselves to rotate to digital, as well as gain domain expertise through in-house innovation, partnerships, and acquisitions.